Nicknamed the "Female Preacher," Lyn Collins was discovered in the early '70s along with her relatives Bootsy and Catfish Collins by James Brown, who was making the transition to the hardest funk phase of his career. Lyn Collins was born June 12, 1948, in Abilene, TX, where she grew up; she began singing in her teens, waxing a tune called "Unlucky in Love" at age 14, and married a man who served both as her manager and as the local promoter for the James Brown Revue. Collins sent Brown a demo tape and he responded by essentially putting her on standby in 1970, when Marva Whitney left the Revue. Former vocalist Vicki Anderson elected to rejoin, however, so Brown instead invited Collins to come to Georgia for a recording session in early 1971, which produced the single "Wheel of Life." By the end of that year, Anderson was ready to leave again, and Collins officially joined the James Brown Revue. In 1972, Brown's People Records label released Collins' self-penned single "Think (About It)"; produced by Brown, it became her first and biggest hit, made her the most commercially successful female singer in Brown's camp, and was later sampled for the main vocal hook in the party rap classic "It Takes Two" by Rob Base & DJ E-Z Rock. Collins' first full-length album, also titled Think (About It), was released later in the year. 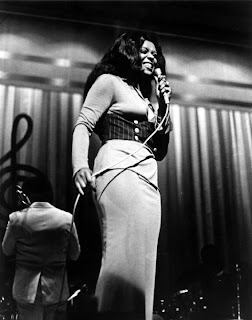 Collins continued to record singles for Brown through 1973, also fulfilling her heavy touring commitments as a member of the Revue. Collins' second album, Check It Out if You Don't Know Me by Now, was released in 1975. She eventually became a backup session vocalist, also appearing on the soundtracks of the film Dr. Detroit and the TV series Fame. Around the late '80s/early '90s, Collins attempted a comeback as a dance-club diva, recording the house single "Shout" for Belgium's ARS label, and a self-penned track called "Break Your Heart" for an Italian label. In 1993, Collins' profile was given a boost by female dancehall reggae singer Patra, who invited Collins to perform on her hit remake of "Think (About It)"; partly due to the resulting interest, her two official albums were reissued in England and Holland. In addition, Collins' work has appeared on Polydor compilations like James Brown's Funky People and James Brown's Original Funky Divas, as well as the bootleg singles comp Female Preacher; she continued to tour and perform, most notably at the European Jazz/Funk Festival (in both 1998 and 1999) and the Montreux Jazz Festival. Shortly after returning from a European tour in February of 2005, Lyn Collins passed away on March 13 at the age of 56. 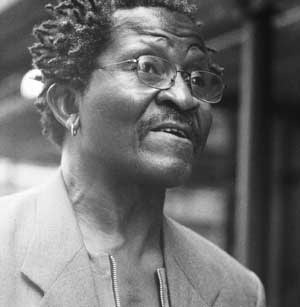 One of the great unsung heroes of jazz singing, Andy Bey is a commanding interpreter of lyrics who has a wide vocal range and a big, rich, full voice. Bey enjoys a small following that swears by him; nonetheless, he isn't nearly as well known as he should be. Born and raised in Newark, NJ, not far from New York, Bey was exposed to jazz as a child and started singing in front of local audiences as early as eight. At some gigs, an eight-year-old Bey was accompanied by tenor sax great Hank Mobley. Bey was 13 when, in 1952, he recorded his first solo album, Mama's Little Boy's Got the Blues; and he was 17 when he formed Andy & the Bey Sisters with his siblings Salome and Geraldine in 1956. The group did a 16-month tour of Europe and recorded three albums (one for RCA Victor in 1961, two for Prestige in 1964 and 1965) before breaking up in 1967. In the 1960s and 1970s, Bey's vocals were featured by Max Roach, Duke Pearson, and Gary Bartz (for whom he delivered very socio-political lyrics, including some searing condemnations of U.S. involvement in the Vietnam War). The 1970s also found Bey recording Experience and Judgment for Atlantic and beginning a long association with pianist Horace Silver, who featured him prominently on many of the religious-themed albums he put out own his own Silveto label in the 1970s and 1980s. 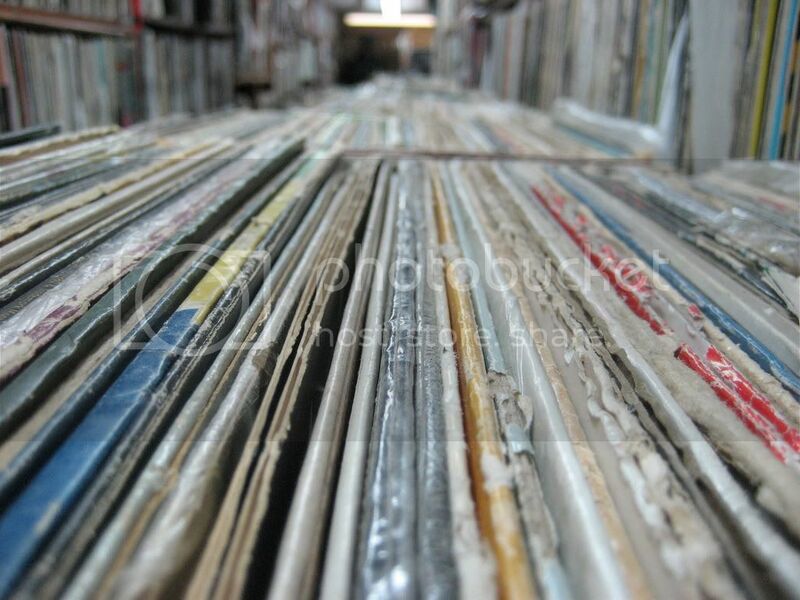 The LPs contained what Silver termed "metaphysical self-help music" and preached a sort of religious self-help philosophy that wasn't unlike Reverend Ike's message -- unfortunately for Silver and Bey, this approach meant limited distribution and little commercial appeal. Bey continued to work with Silver into the 1990s, when he was featured on Silver's 1993 Columbia date It's Got to Be Funky (which marked a return to hard bop's mainstream and did much better commercially than his "self-help music"). Labels Bey recorded for as a leader in the 1980s and 1990s included Jazzette, Zagreb, and Evidence, which, in 1996, released the superb Ballads, Blues and Bey. The success of Blues, Ballads and Bey set-up a position for the pianist to stretch out a little and explore his more intimate side. Bey followed with Shades of Bey in 1998 and Tuesdays in Chinatown in 2001, choosing to explore outside the world of jazz with covers of Nick Drake and Milton Nascimento and others. American Song followed in early 2004.